Sometimes catching a connecting flight in New York means going to another airport. With this private transfer between New York's busy airports, you'll avoid the stress of taxis or public transport and relax instead on the way to your next connection. 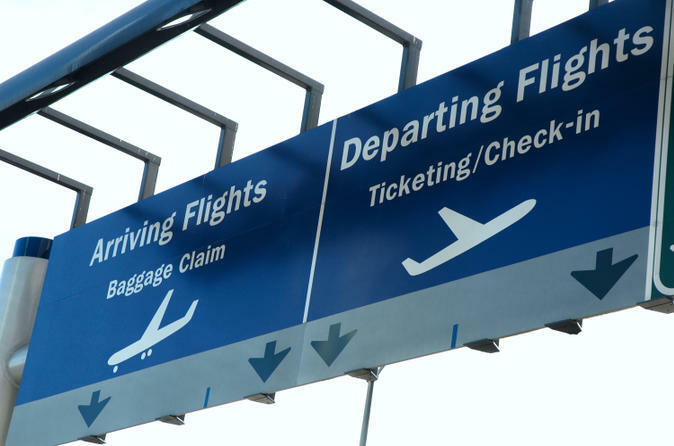 You'll picked up from your arrival airport of choice--John F. Kennedy International Airport, LaGuardia Airport or Newark Liberty International Airport--and taken by comfortable private vehicle directly to your desired departure airport. This transfer service operates between New York City airports only and is not appropriate for hotel or residences. When making a booking for this private inter-airport transfer from John F. Kennedy International Airport, LaGuardia Airport or Newark Liberty International Airport to your chosen airport, you will need to advise your flight details to complete your reservation. Your transfer will be confirmed within 24 hours of booking, and you will be provided with a travel voucher to present to the driver. It's that easy! Upon arrival at either John F. Kennedy International Airport (JFK), LaGuardia Airport (LGA) or Newark Liberty International Airport (EWR), you'll be met by your professional driver. Choose from either a sedan, for up to three passengers, or a minivan, for up to five passengers. Once you’re settled comfortably in your spacious private vehicle, you’ll be driven straight to the airport of your choice, John F. Kennedy International Airport, LaGuardia Airport or Newark Liberty International Airport, for the next segment of your travels.